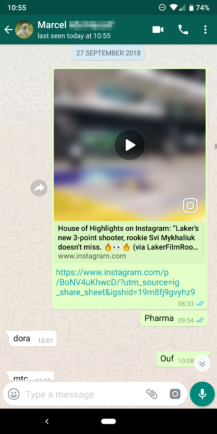 WhatsApp is on one of its new-feature update rolls. 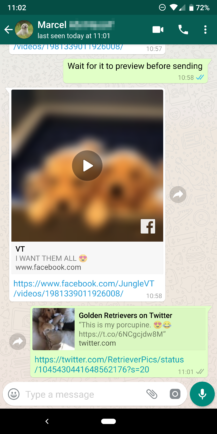 In the past couple of weeks, the app has added Android Pie's native notification inline photo support, brought the swipe to reply gesture from iOS to Android, and today it's adding one more feature on our platform that our iOS friends have enjoyed for months: picture-in-picture video playback. If you're on the latest WhatsApp Beta v2.18.301, you should notice that YouTube, Instagram, and Facebook videos look a little different in their preview box. 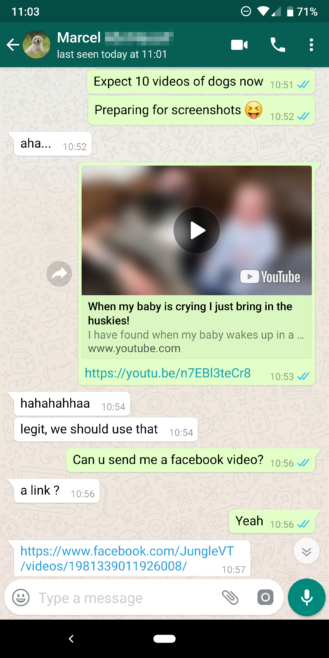 There's a play button; tapping it expands the video to the top of the chat and starts playing. 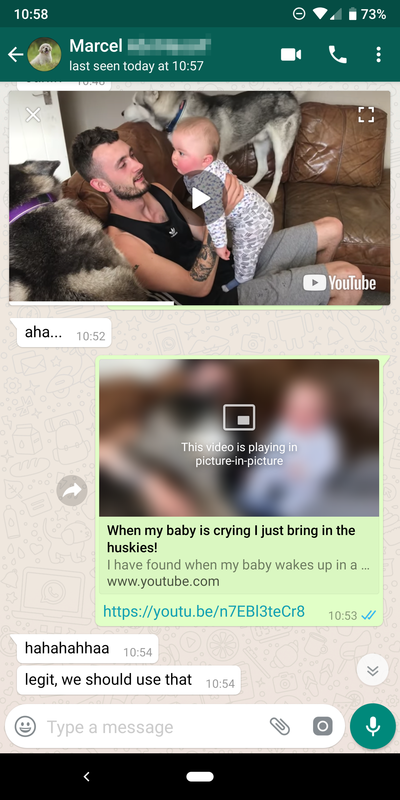 You can move the window around, tap it to reveal a play/pause button, and either close it completely or open the corresponding app to watch it there. 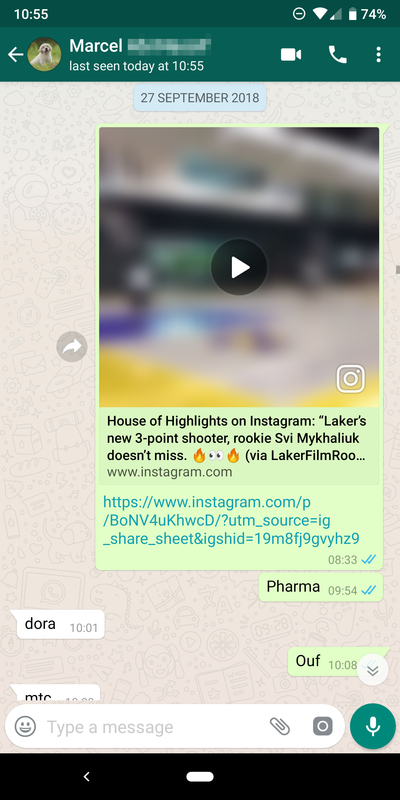 The entire WhatsApp conversation remains active underneath it, so you can still type and read and scroll normally. Left: Youtube video with play button. Right: PiP YouTube playback. The feature requires that the sender of the video wait just a teeny bit for the preview to load after typing the video's link. If they're impatient, all everyone is going to get is the link. For now, PiP seems to be working on YouTube, Facebook, and Instagram. Twitter videos don't do the same thing, neither do videos shared inside WhatsApp, which is equally surprising and annoying. 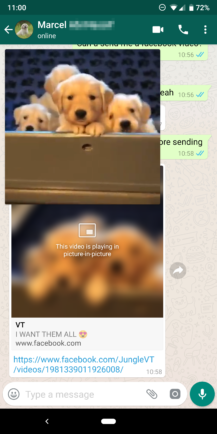 Left: Facebook video PiP. Middle: Works for Instagram too. Right: But not for Twitter. 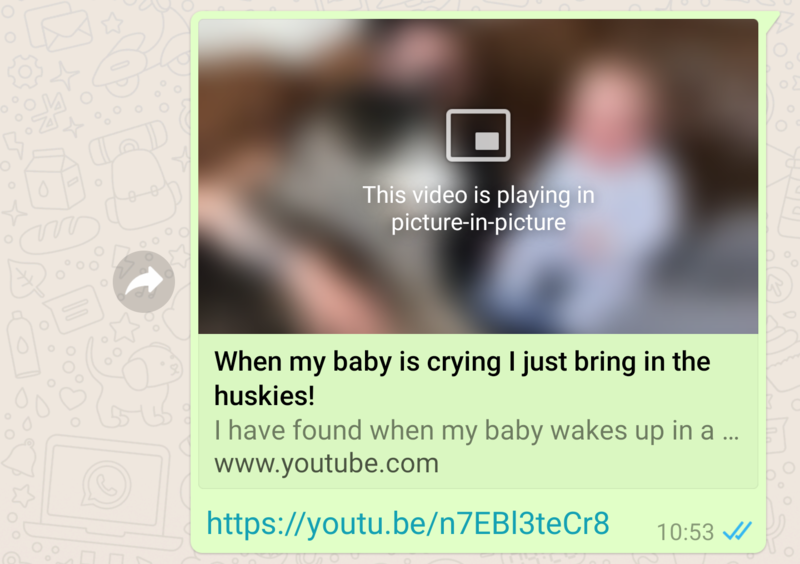 If you want to give PiP videos a go, you need to be on WhatsApp Beta v2.18.301. You can either get it by joining the official Play Store beta program and waiting for the update to be pushed to you or by grabbing the file manually from APK Mirror.